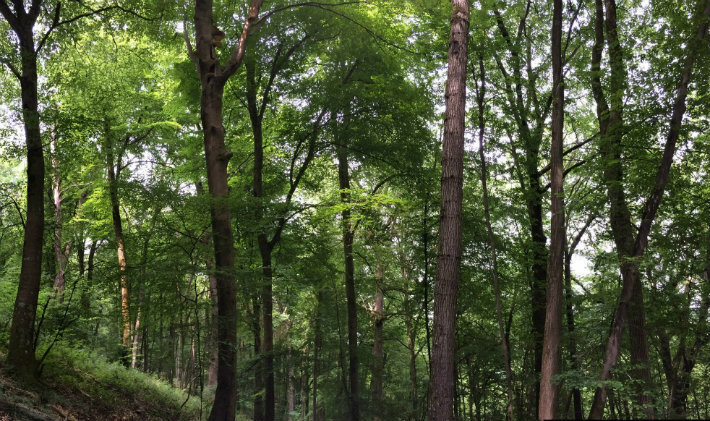 Environmental scientists from the University of Stirling have found beech forests across western Europe are increasingly at risk from drought – with areas of southern England worst affected. In a new €1.4 million study, part-funded by NERC, researchers examined tree ring data from across Western Europe to help uncover the extent to which the growth of beech forests is being impacted by changes in climate. Results publishing in Global Change Biology show beech trees located at the centre of the region where the species grows, in this case southern England, were least resistant to drought compared to forests located elsewhere in Europe. Alistair Jump, Professor of Plant Ecology at the University and lead author, said: “Beech trees across Europe are extremely vulnerable to the effects of drought. These long dry spells cause sudden and widespread reduced growth within the species. The research also revealed that the damage inflicted on beech trees during the record-breaking hot summer of 1967 has impacted forests throughout the UK. Professor Jump continued: “We previously found that the so-called Great Drought of 1976 continues to impact forest found in South Wales. Many beech trees were killed, while survivors often experience reduced growth now 40 years on. We now understand this extreme event had a big effect on tree growth right across the country. “As our climate continues to warm, droughts will become more frequent and more extreme. Beech forests across Europe will be hit increasingly hard, with a high risk of widespread mortality when the next big dry spell hits – particularly in southern parts of the UK. “These trees at the centre of the region where the species grows are more vulnerable to our changing climate than we previously realised and as a result, I would expect to see long-lasting changes to the makeup of our woodlands. The Faculty of Natural Sciences within the University of Stirling is home to world-leading research in four leading academic divisions: The Institute of Aquaculture, Biological and Environmental Sciences, Computing Science and Mathematics, and Psychology. Researchers explore complex and challenging inter-relationships between human behaviours, technologies, biological, environmental and aquatic systems. Inter-disciplinary in its approach, research is problem focused and internationally recognised for its originality and relevance. The Faculty contributes world leading research impact. In REF2014 Psychology is assessed as having 100 per cent world leading impact; while the Institute of Aquaculture has 90 per cent world leading research impact.